Important elections are coming up! 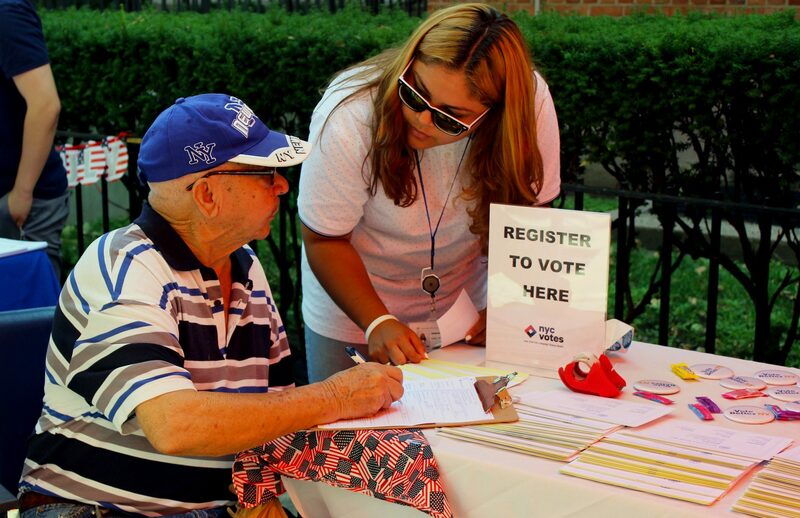 Walk in and register to vote at five Henry Street locations on the Lower East Side! Our staff can answer all of your questions. Headquarters, 265 Henry Street, Monday-Friday, 9 a.m. – 5 p.m. Youth Services, 301 Henry Street, Monday-Friday, 9 a.m. – 5 p.m. Workforce Development Center, 99 Essex Street, Monday-Friday, 9 a.m. – 5 p.m.
Henry Street Settlement Senior Center, 334 Madison Street, Monday-Friday, 9 a.m. – 6 p.m.